Our primary focus is beautiful hair. We listen to what you want and deliver it to perfection. Our goal is to have every client leave our salon looking fabulous! First Love Beauty Salon and Boutique can provide all your hair needs including: cutting, color, highlights, perms, specialty & corrective color, up-do’s and special event hairstyles. On location or in salon – bridal and wedding party hair styling. Men’s cuts and grooming. We take pride in getting to know you and giving you our undivided attention. It is our goal to make every client look and feel fabulous. Our impeccable service and style will help make your day truly special. At our place or yours, you and your bridal party can have the perfect hair styles, from chic to sophisticated. We continually search for stylish and distinctive items for our boutique. 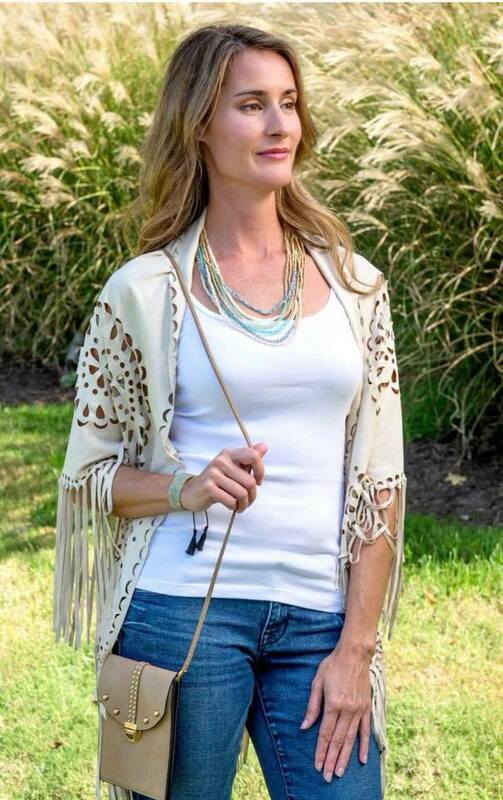 Our unique clothing, jewelry and accessories are perfect to help you show off your style. Relax & Rejuvenate – massage therapy soothes sore muscles, improves blood flow, and working as a natural stress reliever. This is just a sampling of the high quality products we use when creating a beautiful you. We also have a wide variety of products available for purchase. This is just a sampling of the high quality products we use when creating a beautiful you. We have a variety of products available for purchase. 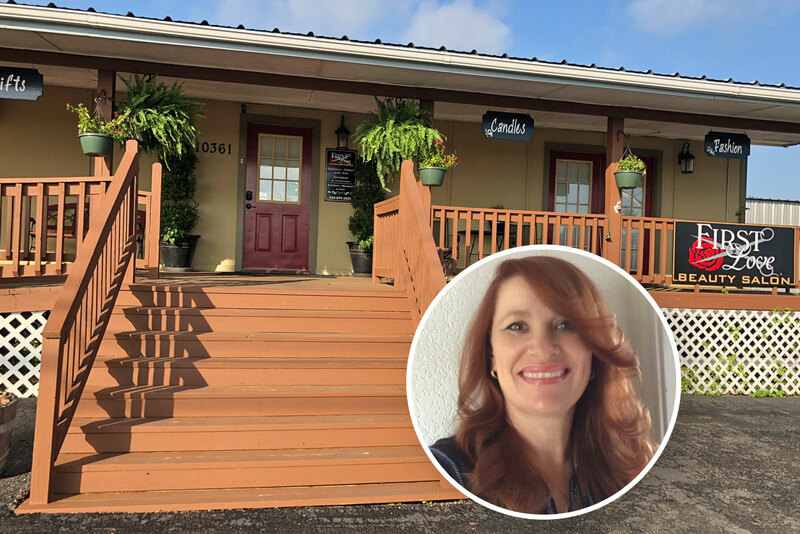 I’m Karla Kiefer and I proudly opened First Love Beauty Salon & Boutique’s doors in February of 2015 in Canyon Lake, Texas after aspiring to have a salon of my own and finally making my dream come true. The thing I enjoy the most is I get to meet so many new people from my community every day. I love getting to know my clients and developing an understanding of their personality and lifestyle. Which helps me to create the best look for each individual. Seeing my clients leaving the salon looking fabulous, makes my day! The Boutique is another avenue to make my clients smile when they find an outfit or accessory they love. Thank you so much for my new amazing look. It’s been a week & the compliments are still rolling in. I even feel more confident. Thank you Karla! Karla is the best Also Karla is a lovely caring lady. She is the best hairdresser I have had in many years!! I love having a great hairstylist right here in the Canyon Lake area. Karla spent an hour with me on my first visit getting to know me and the condition of my hair. She gives great haircuts! Karla does a great job. Recently got my hair re-touched and highlighted and it looks great. The salon is comfortable and clean. Our styling services include shampoo, blow dry, thermal iron/flat iron styling, up-do styling and more. Our aim is to provide the very best services for all over Hair Color, Corrective Hair Color, Dimensional Hair Color, and Highlights & Low lights. We pride ourselves on staying up with the current hair trends. We strive to get to know our clients and create a cut and style that fits your lifestyle. Bridal hair services both on-site and here at First Love Beauty Salon. We also create fabulous styles for Prom, Quinceanerras and all your special events.